TAPMI MBA Admission 2018 will be based on CAT/XAT 2018/GMAT scores followed by WAT/Personal Interviews. The application process for PGDM in TAPMI Manipal has started from 7 November 2017. TAPMI or T.A. Pai Management Institute offers the following 2 years Post Graduate programs. The admission to these programmes will be based on the scores obtained by the candidates in CAT/XAT/GMAT/CMAT. Scroll down to get the complete information of TAPMI MBA Admission 2018. TAPMI Manipal provides 5% quota for NRI candidates. Academic qualification: The candidate must have a Bachelor’s Degree in pattern 10+2+3 or 10+2+4 in any discipline, recognised by the AIU to be eligible for Post-Graduation with at least 50% overall aggregate marks. Professional Qualification: The candidates with professional qualification like Chartered Accountant, Cost Accounting and Company Secretary. The candidates appearing in the final year of the graduation may also apply. Valid Scores: The valid scores of CAT 2017, XAT and GMAT 2016 & 2017 are applicable. Academic Qualification: The candidate must have a Bachelor’s Degree in pattern 10+2+3 or 10+2+4 in medical/para-medical/pharma, recognised by AIU to be eligible for Post-Graduation with at least 50% overall aggregate marks. The students of the final year may also apply. Valid Scores: The valid scores of CAT 2017, XAT, GMAT 2016 & 2017 and MAT September & December 2017 are applicable. TAPMI Manipal MBA Application Form can only be filled Online by the candidates. The candidates must read the instructions carefully before the application form. The candidate can apply for multiple programs in the single application form. Step 1 Register: The first step to fill the registration form is to register. The candidates are required to enter the important credentials to register for the application form. Step 2 Complete the application form: After the successful registration, the candidates must enter all the information given in the application form completely and carefully such as personal information, contact details, educational information etc. Step 3 Submit: The candidates must submit their duly filled in application form online. Online Payment Gateway: The candidates can pay using any of the online payment gateways that are Credit/Debit Card/Net Banking. No offline mode of payment is accepted. Candidates are advised to check the details of the application form before the final submission because once the application gets submitted then the candidates will not be able to do any changes. All the applications are to be submitted in online mode only. APplications submitted in offline mode will be considered rejected. The candidates have to pay the application fee(Non-Refundable) as given in the table below. The candidates can pay the application fee Online via Debit Card/Credit Card/ Net Banking at the time of the Online application submission. 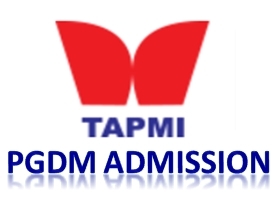 TAPMI Manipal Admission will be based on CAT/XAT/GMAT scores for PGDM and PGDM-BKFS programme and CAT/XAT/GMAT/MAT scores for PGDM-HC sores. The shortlisted candidates will be called for WAT/Personal Interviews (PI) or other evaluation components of TAPMI. The candidates will be basically selected based on high scores in CAT/XAT/GMAT/MAT scores and good profile with educational excellence, work experience, extra-curricular activities participation and clarity of purpose, candidates are shortlisted and invited to participate in the subsequent TAPMI Admission Process. The candidates who have been selected by TAPMI for admission process need to produce proof of graduation completion of Graduation by the time they join TAPMI Manipal PGDM Programmes and also submit their mark lists and other testimonials within the stipulated date. The candidates must follow the exam pattern and syllabus of the required entrance exam that is CAT/XAT/MAT/GMAT. CAT Exam: Common Admission Test (CAT) is conducted for admission to various Post Graduation Management programs in IIMs and various other Indian universities and colleges. Candidates can get the complete CAT exam pattern by following the link below. XAT Exam: Xavier Aptitude Test (XAT) is conducted for the screening of the best candidates of India for MBA Admissions across the reputed B-Schools of India. Find the complete syllabus for XAT by following the link below. GMAT Exam: Graduate Management Aptitude Test (GMAT) is a computer-adaptive exam that is used to take admission into Management Program such as MBA, MBA in Finance, Accountancy related courses. Get the complete GMAT syllabus by following the link below. 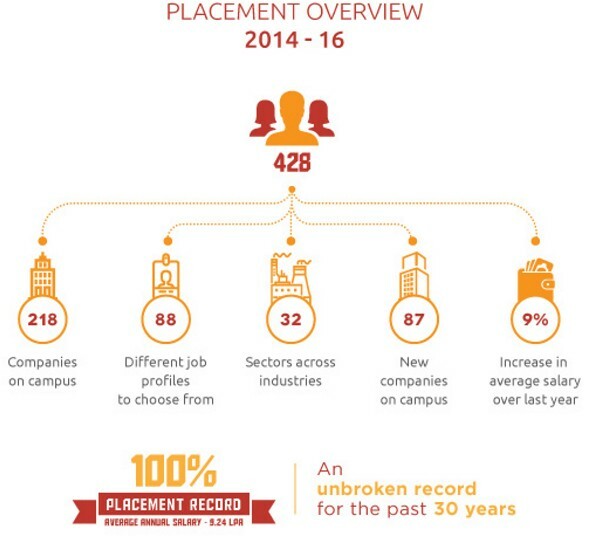 TAPMI has good Placement opportunities for the students of PGDM. TAPMI had an unbroken record from past 30 years. 87 new companies present on campus. The average salary of the students was 9.24 Lakh per annum. TAPMI Students has been offered diverse jobs in different profiles from the industry. Few List of Recruiting Organisations: IBM, HSBC, Honeywell, Axis Bank, Infosys, ACG Worldwide, Capgemini, Titan, L & T Finance, Ernst and Young, NIIT technologies, TCS etc.